It has been kept a deep dark, well-guarded secret that on December 28, 1990, Lupe Archuleta gave birth to dodecatuplets. Consider if you will, this all too familiar refrain that was Marlie’s #51 comment on Angelica’s recent post, Cover Me. There is not ONE person in this world who can change in looks so much–in the snap of a camera. Near as I can figure there are 11 identical and one fraternal (the one they used on the CFTH album and the new album BEGIN.) How can one person go from the cuddly little boy look–to the boy next door look –to the hot smexy man look with a face dripping with emotion? No one person can go from a tousled haired boy wearing the Dennis The Menace look in a striped T-shirt—looking like he just took his dog for a ride in the wagon, to a steamy, suave, sophisticated ( I’ll make your knees buckle) young man dressed in a tuxedo—probably in a matter of hours!! Now I think I have identified four of them–David–Ricky–Archie and Josh. Am keeping a keen eye out for the other eight. This is only common sense–how else could he have kept up the rigorous schedule he has had at times–and the international travel-jet lag–without even a mini bag under one eye? Always as fresh as a daisy. Hah! HEY! I didn’t just get off the pickle boat—the banana boat maybe. Some of the media even report him as being in two places at once–which adds fuel to my fire!! I figure that there are two in Chile—-one at home perfecting the guitar playing (when this one comes out, be prepared for a grand-mal-spazz). Elsewhere in the world, another is polishing up and learning new dance and swagger/strut moves and leg lifts –to be used at random–one is off writing songs—one is out scouting out restaurants–all this is impossible for one person to do. Lord only knows what the rest are up to, but I’m sure we will find out in due time—there is a long ways to go yet. Then there is the not so small matter of all those shoes and clothes David has amassed –very rarely is he seen wearing the same shoes or clothes twice. Divided by twelve—THAT’S where they are!!! And! Who grows their hair that fast in one week? I could go on and on, but you might think I’m nuts. I happen to have a VERY RELIABLE SOURCE. This entry was posted on Sunday, July 29, 2012 at 11:39 PM	and is filed under David Archuleta, The Voice. 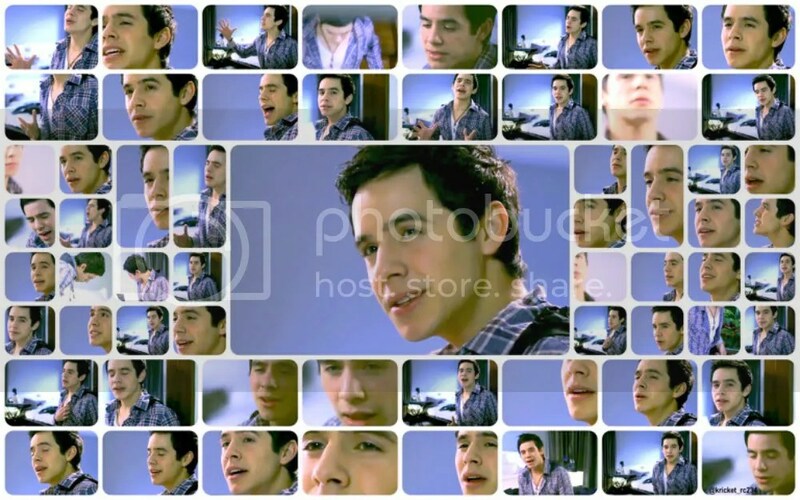 Tagged: David Archuleta, dodecatuplets is a real word, he ain't real though. You can follow any responses to this entry through the RSS 2.0 feed. You can leave a response, or trackback from your own site. And the pics of the clothes! haha I always wondered what happened to them. Like I said, this would explain sooo much. hahaha Love it! Dak, that’s a real cute and funny article! Maybe that accounts for him being my new boss at work and also being Tawna’s neighbor. He is quite the ninja, for sure! But how does a man have 1,000 faces and each one of them be so perfect? that clothes and shoes picture! rofl! Oh, dak – that is hilarious! You made my day! Oh by the way, folks. That’s not almond the squirrel. It’s a mouse and if you click on Very Reliable Source it will take you to the true identity of the VRS. Another great read by Dakgal. Dakgal 🙂 So fun!! Now it makes more sense. .Thought he was an Energizer Bunny but now we know. Yes he does Harmonize with himself or one of his other selfs. Thanks for the great Photos Angelica!! Hahaha….laughing here. Thanks for this article Dak. Dayzee said…But how does a man have 1,000 faces and each one of them be so perfect?,,,,and I so agree with Dayzee! Dak,my apologies to Viajero! I remember seeing that little cutie now! (back when I was still a lurker) lol! loved that article too Dak. Thanks for the heads up about Almond Angelica. I always thought there must be more than one David. But the ever-changing clothes and shoes really puzzled me. Now I know. Even 12 Davids can’t find anything to wear more than once from those huge piles. Is the lack of wardrobe management why his (or their) shirts appear somewhat wrinkled sometimes? Dak you crack me up. Smart AND funny. 🙂 But it’s all too true. In my first vip pic with him, he looks 15. Maybe. Then an hour later he came out onstage in Grand Rapids all in black and gained 10 years. Woohoo! Talk about a happy dance! I need that album yesterday and at the very least for a roadtrip/archulunch on the 8th! How can we leave home without it? Angelica, it will be essential listening for the road trip. You’ll have it. 🙂 Tomorrow I will be roadtripping alone to my film festival. What to do re snippets? August 7th is almost here! Special offer??!! Be still my heart!!! That would depend on if you are abstaining or indulging. If you are abstaining, like moi, I would go with a selection from the many tours, including AI or you might want to reprise the first album or give another listen to TOSOD. 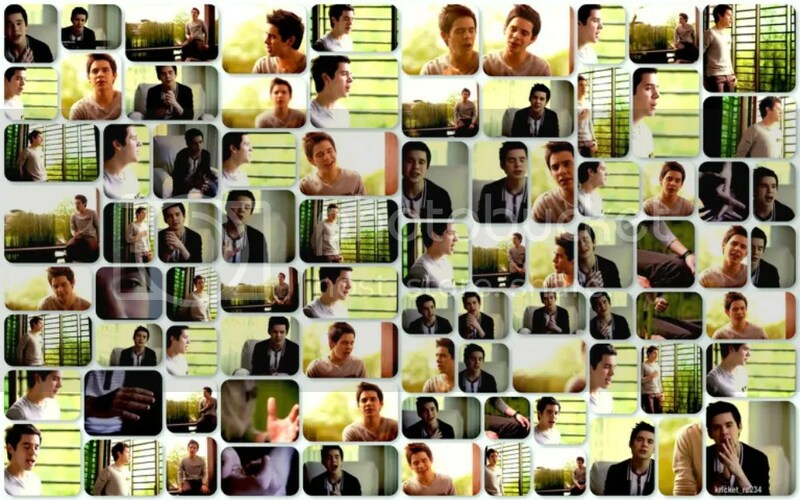 I am still playing Forevermore because, sans snippets, it’s the closest thing I have to him before he left. I know that doesn’t make much sense but you know, you do strange things when you have ODD. And yes, I still have it after 4 whole years. Angelica, I don’t even know what to call what I’m doing. I listened. I loved them. I abstained for a couple of days. I fell off the wagon, and listened again. I abstained again today. I guess I am just trying to get through this. I get the Forevermore thing. Completely. Sigh. It’s only a week away. Betsy, the wagon, there’s a wagon?? I never got on, I’ve been immersing myself in that heavenly voice. BEGIN. must be listened to on headphones. The background vocals are as exquisite as every sound that comes out of that mouth that needs it’s own zip code as Abrra says. Bebe, I think you may be right. Dak just may be a comedienne! itunes and a special offer??!! Be still my heart, I love special David offers! Dakgal, I loved reading this today—so funny. And, I loved reading the article about adorable Viajero. That lucky little critter….I wonder how he’s enjoying Chile. Wonder if he’s made himself all cozy in all the bits and pieces of fan mail Kari is sending David. I always thought that I would love to be a fly on the wall when it comes to David, but I’m rethinking that….think in my next life I would rather like to be a rodent in a backpack! So excited today when I went to my mailbox and saw David on the top of the pile of otherwise boring and useless envelopes! It was Deseret Book’s fall mailer. It is awesome that they are sending it out with David’s adorable face on it. Hooray for promotion! I am a tad bit confused, though. Kari said David did not write Broken, but in the pamphlet it distinctly says “…..and a completely original, never-before-heard song written by David,……” It makes me wonder if there is another song on the album that has not been mentioned that David DID write. I believe that originally it was mentioned that there were going to be 11 songs in the album. Hmmmmm — wonder if Angelica’s happy dancing cat knows something we don’t…. David is a chameleon and I know of no other artist who can transform so easily the way David can and it seems he’s not even aware of it. It just happens according to the situation and especially when he’s performing on stage when he becomes bigger than life. He is also a photographer’s dream. They just tell him what expression they want & he delivers. The camera loves that extremely photogenic face! There were a few David “faces” we had not seen before until Nandito Ako. For example, anger, grief & the “in love” face. I believe now we can say we have seen all the many faces of David…even if some were make-believe expressions, they are all extraordinary! Hello! So good to see you! Hello! Have read from The Beeben tweet that David Archie is partnering Charice Pempengc for the upcoming movie: The Kane Chronicles Book 1: The Red Pyramid. Do you guys know about this? Is this true or just a fandom mongering? Your input is highly appreciated. Thank you. If true, is Kari Sellard keeping secret for this particular news? What happened to David fandom? Why is it that we can’t take I’ll Never Go to its rightful place #1. This song glued below #5. When some fansites in different countries wanted to trend, nobody’s participating. Thought there are over one million fans of David. Where are they now? Are they just good in lip service than doing deed for their idol. ? I’m wondering!!! DA fans you are tested if you all are real to goodness fans of David. Bee, not everyone who follows David on twitter is a fan. It would be NICE, but it’s not true. I have a lot of friends who tweet and follow David and never were fans, just saw his name and followed him. Nothing wrong with that. Bee, I’m sure that he still has a lot of fans, but he made a decision to leave, so I’m thinking a lot of fans just don’t see the point…no appearances, no tour, no vlog, he can’t even communicate to his fans. I’d venture to say that he has a lot of non Mormon fans that really don’t understand the whole mission thing, including me. What the heck, I’m a diehard fan and I have doubt as to why I stick around at times, but I am here and plan to stay. Let’s just hope they come back when he returns. Angelica, #24—I know that Happy Dance Cat doesn’t know anymore than anyone else. I am just wishful thinking maybe. Thank you everyone for your nice comments–and a special thank you to Angelica for her help. The subject of David can bring out so many different emotions from people–I am not a person who could write an in depth serious article about David like so many talented people here can, and they do it beautifully , each in their own way. I usually have these crazy whimsical thoughts about him rattling around in my noodle –until they pop out. It is truly magical how David affects us–and what he brings out in us. And Yes, music for road trips is a must! I love the vlog bits we’re getting. But they are so short. They need to be strung together once we have them all. PS Thanks for the great screen caps! Just a little info–that I didn’t know. According to Kari a person named Jon Hunt wrote the words to Broken( tried to copy and paste the tweet–but it won’t work). BUT—David did write the music. @kariontour did you say David wrote the music for Broken? It’s such a great song! Some one asked –he asked if he couldn’t really read music—how could he write the music? @janinachos not really does not! He just sits behind the piano and just starts playing and works things out. Betsy–I’m not seeing anything about a bonus song says ten songs– am I in the wrong pew? Dak, it’s bedtime, and I’m just reading your article which is making me laugh and waking me up! 🙂 We now have the answer as to how David seems to be here, there, and everywhere at the same time. Thank you for the clarification!! I’m wishing my life away, I know, but I really, really want Aug. 7th to get here!! Today I recieved a Deseret Book fall catalog with David’s beautiful face on his album cover smak dab on the front in all it’s glory!! ONE MORE WEEK!!!!!! Dak it’s an automatic download. It just does it. Might I add that this is the best thing David has ever done musically. Radio will play this, it’s so relevant and gorgeous. Did it work dak? I hope so! Tell me what you think. This whole song makes so much sense. Can I just say one thing? Invisible Children. Cover your eyes if you don’t want the lyrics to Broken. Credit to @muldur for the transcription. You still have one wish but it’d be useless, more than roses have died in this desert. And i-i-i-i-i don’t want to open up your eyes, everything’s broken. and i-i-i-i-i never want to open up your heart, everything’s broken. doing what’s right is so wrong. But if you see me (?) ignore the gun, we are still fighting for life. heeeerrrre’s our wish just to exist in more than our eyes. And i i i i never want to open up your eyes, everything’s broken. and i i i i never want to open up your heart, everything’s broken. Do you see what I see? Do you feel what i feel? oh noooo, oohhhh, oh oh ohoh yeah, (yeah). And i i i i found it hard to open up my mouth, will they hear what’s spoken? but i i i i saw when i opened up my eyes, invisible children. Just did the pre-order and got my surprise…”Broken”. I am absolutely amazed that the entire world doesn’t know about this incredible talent! The world has gone mad! This is one of the most beautiful songs I have ever heard! I am just….. THUD! Everyone in the world should hear this. It became available for pre-order on ITunes Canada also. Ordered mine. Didn’t get an automatic download of Broken but it was available to purchase anyway so I did. Oh, I am so glad to have it — it is beyond beautiful — the words, the music, The Voice! Yes, David is a phenom, a genius. OH WOW!!!! Broken… what can I say? Just absolutely beautiful. This man has proven once again how beautiful his soul is … I am in awe of him. This absolutely amazing!!!! David’s voice is not of the universe, something not ever heard!!!!! I can feel his heart!!!!! Trying to describe Broken. I can’t. Unique and beautiful, just like it’s creator. One more listen then off to bed with Broken swirling through me. What a gift he has left us. OMG, BROKEN is beautiful! I’ve got it on repeat and it has taken over my heart and my senses! The words are amazing! The vocals are out of this world! The harmonies…..we are in for great things come 2014!!! Dja,you’re right…I can feel his heart too! I think your theory of multiply Davids is very possible 🙂 We will meet yet another from of David in 2014 , of that I am sure.Thank you for lifting our spirits! Thanks for posting @Muldur’s transcription of the lyrics for Broken. Last week when I heard the longer snippet, I had an awakening about what the song was about. “But if you see me (?) ignore the gun, we are still fighting for life. The video in from the recording studio was a delight to watch. This is one serious and dedicated young man who holds us in the palm of his hand. I made a few screamcaps too! Great video to go with this article! Maybe we can call on you to create something in the future? Good job! I’m in a never-ending BROKEN loop. Gah! The David “chorus” and the wailing during the last 30 seconds or so. So beautiful. (I need a new adjective). Pocoelsy – I’m saving that video for tonight – off to work now. Abrra, the screamcaps are stunning and thank you for always giving kind words for my work, and yes I’ll be at your service …very happy and honor to do anything to promote our guy and show a little gratitue toward the fansites who do a great job keeping house fire burning. Yep! Relevant! It cannot be denied! (that video did me in.Why do I love seeing him leaning back in that chair swiveling ..looking like"Mr.In Charge", "Mr. I know what I want and I know how to get there".All relaxed,.making his points on/with those beautiful fingers… as you pointed out Abrra, appearing as the pro he is…. "serious and dedicated" to his craft.Love hiiiiimmmmmm!!! bought it and haven't stopped listening.He is perfection. His heart must surely be made of pure Gold. No one sings like that. Its so beautiful. It's not just a "song",its an incredible musical experience.I don't even know what I am saying, rambling here,…I just want to keep listening to it over and over, because I want to stay IN it.Can't describe that song to anyone, it just has to be heard,and that voice and what it does for ones heart and soul,appreciated. He makes me cry he is so talented.I just…I have never…..
Oh Skydance, what you said about Broken, yes! An incredible musical experience, I want to stay In it. I have never heard or felt anything like it. Sorry Skydancer, I got excited and lost my “r”. I broke down and listened to Broken after doing the preorder. I believe his voice has become more wondrous. Artistic genius powered and informed by a pure soul. Has the world ever known this phenomenon? Not in my life time..can’t name anyone in the past either. His soul is the most beautiful thing I’ve ever heard. Stopping by to remind you about “Nandito Ako” chat tonight at 10PM Eastern. Agree with your words 100%. I have always thought that about David. He is like a chameleon. He looks completely different on his Forevermore cd cover compared to the BEGIN. cd cover & the pics were only taken a few weeks apart. It is amazing!! i just got to say been lisyening to broken all day ,he gives me butterfiles,and tears.at one point i thought he was going to come right thru my head phones he was so passionate,wake up world ,the greast musician of all times is in our mist!!!!! I love, love, love “Broken”! It’s just glorious. However, I hope people will research the Invisible Children organization before they donate. There may be other organizations that do more to actually help children in Africa. The Charity Navigator has rankings for charities, including Invisible Children, and has an article that addresses some of the concerns that have been raised about it, including a video response to the criticisms: http://www.charitynavigator.org/index.cfm?bay=content.view&cpid=1359. Are you saying that David made a mistake in mentioning this organization and supporting it with his own money? Abrra, that’s not my point, nor my judgement to make. Certainly bringing awareness to this awful problem has been a good thing. I’m just saying that supporting the Invisible Children organization isn’t a slam-dunk, if you have limited funds to give. The Charity Navigator says that around 31% of the money donated to Invisible Children goes to helping programs, the rest goes to publicity (raising awareness) and overhead. If you want to donate to an organization that primarily brings awareness to an issue, that’s fine. Others may prefer to donate more to groups that do more to aid individuals. The organization recently received a million dollar grant, and raised $13 milion last year, so they do have plenty of support. Also, the situation has been evolving–Kony currently has only around 200 fighters in scattered groups–no longer in Uganda–and the U.S. now has 100 special forces on the ground to aid in bringing him to justice. It’s a very complex issue. Ray, lol. Sorry if the issue of how best to help child soldiers in Africa is a downer. I think the whole BEGIN. album is about shining a light on difficult issues–depression, unemployment, alienation, prejudice. Back in American Idol days when David sang “Another Day in Paradise” about homelessness, Simon criticized him for singing too many downer songs, but I always loved that about him. On a serious note…with my hectic schedule at work, reading funny, interesting and well-written articles here makes my day. Thank you! Got in late with one of my BFF (four legged) still under anesthetic. Dak, Your article brought out so much of the fun that is endearing to us. The screen caps of David while at his place of musical production need to be framed. My favorites of all times! Concerts and touring for singers somehow even for the moment, pale to the life he has chosen and what he is creating. He definitely knows how much we are with him and his music. You may find the last comment made by Desertrat on SoulDavid quite interesting, giving interesting thoughts on the meaning of the song while interpretations vary. This date in ArchuHistory August 1,2008 Crush premieres on Z100 radio in NYC! Thanks so much for the ArchuHistory flashback. It tickles me almost as much today as it did that first day to see David so excited about his first song on the radio. No one could possibly be more adorable than he was that day. He was soooo nervous and excited. Can you imagine? Just 17 years old! What a feeling that must have been. Oh, and sorry for cuttting out so suddenly in chat last night. My internet was going in and out, in and out, and finally just OUT. lol Just got it back this morning. 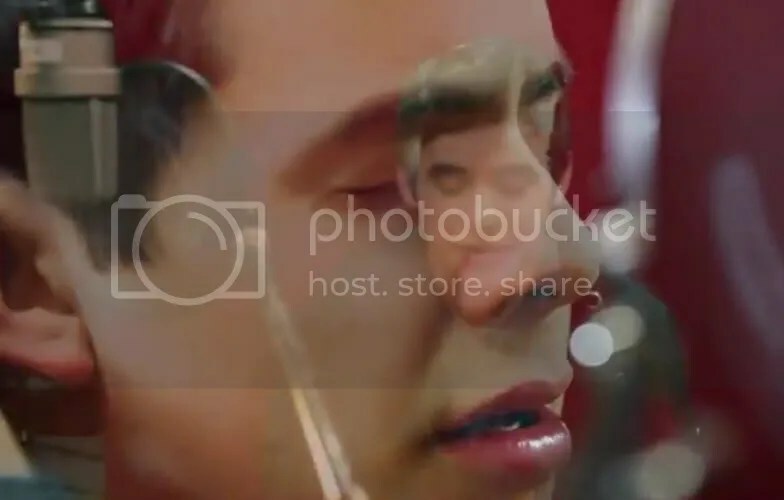 @jaydurias @DavidArchie loving what I am hearing! Just waiting for input! Brings back wonderful memories! Thanks Jay! 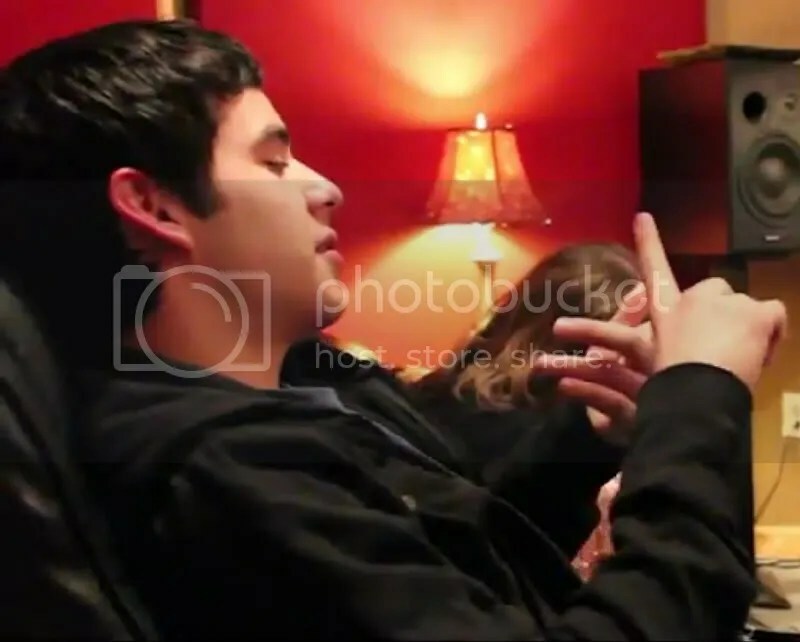 @kariontour @davidarchie Thanks kari! You guys are always welcome…i’ll be waiting 4 ur inputs to finally master the track. Tc always! @LSCtheliverlady @kariontour @jaydurias @davidarchie we could really use some synths right about now haha! @pastelpastel @lsctheliverlady @kariontour @davidarchie yes definitely synths are very present! 🙂 Bounce to this! Ahhh!!! I want remixed, very present synthed, dubstepped Rainbow! Don’t know what dubstep means either but I am ready to bounce! This is one of my favorite Crush moments. My buddy @davidarchie has a great new album coming out on Tuesday… Hope you all check it out! That guy dancing dubsteb is fantastic! Poetry in motion. You can read about dubstep and hear samples on Wiki at this link too. Also, per your comment #92…Thank you Jeff LeBlanc! Where are David’s other musician friends he has unfailingly promoted and supported all along. Let’s see if they show up for him. And this! TT Part today! I’ve been listening to the download of Broken. I love the lyrics and the music. So moving. Here is a poem also inspired by Invisible Children. and the children are no more. Beautiful poem Lynnella. Thank you for sharing. We trended worldwide!!! Reached #4!!! Pre Order Begin On Itunes WE ARE TRENDING IN MEXICO AND CHILE! David Archuleta is still famous..? Yay the new David Archuleta #BEGIN album is trending on Twitter. I pre ordered the album last week. Thank you @BestBuy! 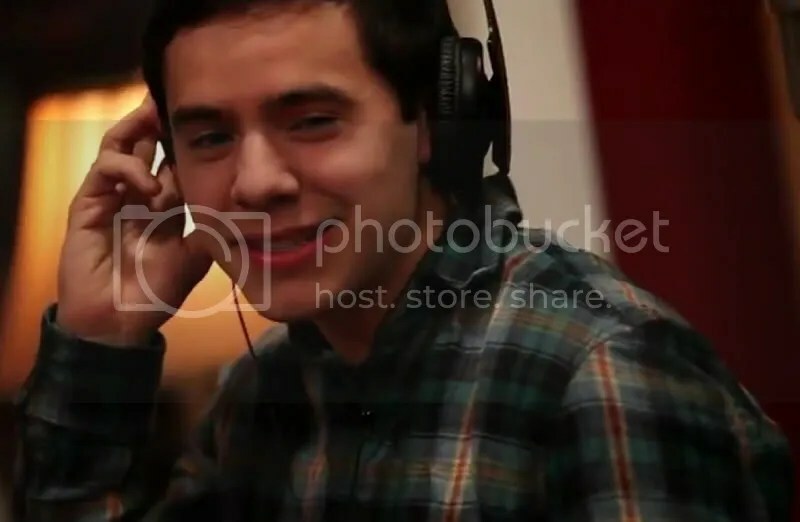 who the BLEEP is david archuleta? Walking down the street in this tourist town, Broken is in my head. Maybe I’ll play it right here and now. David talks about the songs he put on the BEGIN. album. All of them are favorites of his and he enjoyed recording them but see the ones he just loved recording. He wanted to find songs people could connect to. Beautiful screencaps, dja! The second one is now on my desktop. For me, nobody else in the history of music makes that unique sound David makes when he sings. He is gifted beyond compare. It’s funny how the songs I was most looking forward to hearing like “BOTW” and “Angel” have been replaced by songs I didn’t know before like “Everybody Hurts” and “Don’t Give Up”. One listen to David’s snippet version and I’m hooked. Does it look to you like they could have a video of him singing all of Angel and not just that snippet? Thanks for posting part 4. I love watching him sing. I think that’s what I miss most. As much as I love hearing him sing, I miss SEEing him sing so this is a treat. 104. Hmmm They might. I wish they had a full recording of the whole session, all the songs, that we could eventually see. haha I’m not being greedy, am I? MT et al…I just got a little stab or jab when I saw him singing a few bars of ‘Angel’. I just wanted to see him singing this, oh and all of them of course. It is so good to hear him talk about the songs. There will have to be the biggest trending party ever for David on August 7th. I feel what you’re saying. Boy he can hit the soul I tell you. I’m all for trending! David has me in tears today with that surprise bit of him singing ANGEL in the BTS video. His voice is just…we need new words…no earthly word does it justice!!! Bebe, desktop pics for sure! He looks so peaceful singing that song doesn’t he! Thanks Djafan for the scream caps! That small bit of Angel was heavenly. 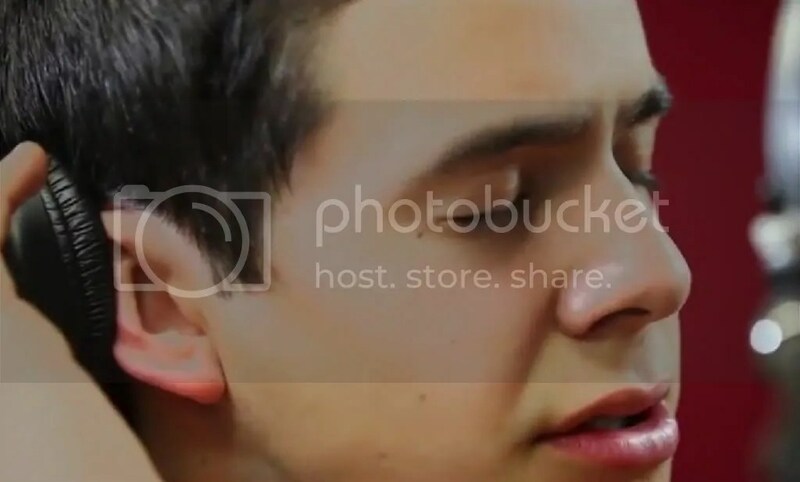 The photographer really knows how to shoot David up close. That’s how we like it! When they are done feeding us these small 1 minute BTS videos, I plan to edit them into one long one for Unplugged. Lynnella Your poem was heartfelt and beautiful. Thank you for sharing it here. It’s a keeper. Not sure I can say anything. Egad!! What scream caps!!! Thank you, thank you. I loved David’s line, “Well they are all kind of my favorites I guess. Otherwise I would not have put them on the album”. Haha. Reminded me of the time an interviewer asked him if he would ever date a fan. He replied it would be kind of awkward to date a girl who did not like his singing. It seems like he would expect us to know the answers to some questions. Just preodered 8 more albums from Sears!♥ They have them for $8.99 w/.99 shipping for the whole order! But naturally they had to add the tax on it too, but that is paid no matter where you order it. I should say, wherever you buy it….or order it…whatever!